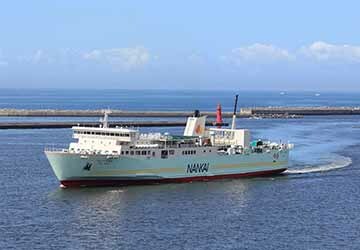 Nankai Ferry’s Tsurugi provides a comfortable passage between Tokushima and Wakayama, just a short distance away from Kansai Airport. 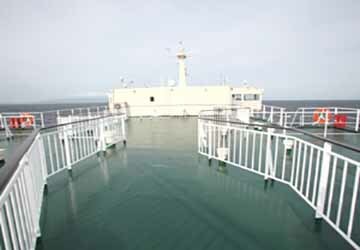 The ferry has a capacity of 427 people and has an extensive vehicle deck. 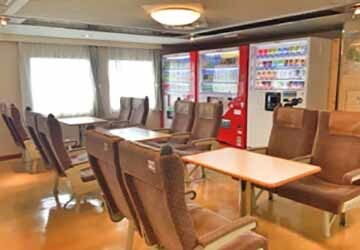 The vessel has a large range of seating options, a shop kiosk, a baby room, a drivers area and environmentally friendly bathroom facilities. 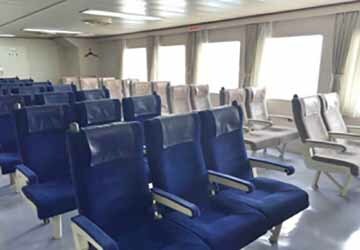 No cabin accommodation is needed for the short crossing but there are a number of different seating options. You can reserve seats in the Green Seat section where you’ll find 18 comfortable recliner chairs with storage and a small table. 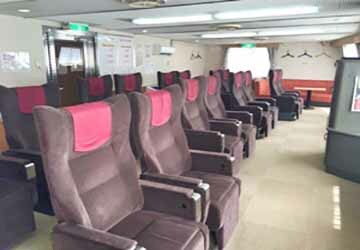 There are also four seater sofas for relaxing during the crossing. Elsewhere, in the public areas, there a 80 airline style recliner seats and four seater table seats, an ideal spot to enjoy your lunch and socialise with family and friends alike. 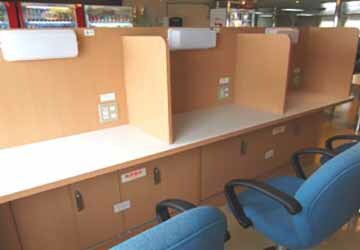 On board you can benefit from the shop kiosk. Here you can purchase lunch boxes, snacks and drinks as well as souvenirs and tickets for the Green Seat area. There’s no reason to fall behind on work if you are travelling for business. The designated Business Corner comes with private desking and seating next to power points for laptops and chargers. There is also partitioning and a reading lamp. 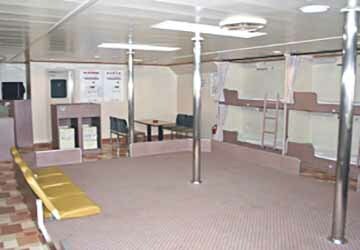 A separate drivers room is available for those boarding with trucks and lorries. Specially adapted bathroom facilities and baby changing rooms are available on board for the little ones making the voyage. 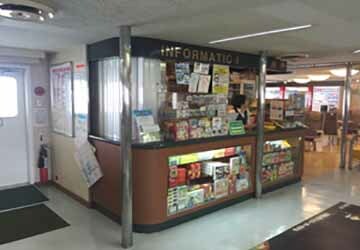 Please Note: Whilst we have taken great care in making our Tsurugi guide as accurate as possible, onboard facilities, services and entertainment may vary depending on the date and time of year that you travel, facilities mentioned may change without notification and ferry companies reserve the right to operate vessels other than those mentioned at time of booking without prior notification.